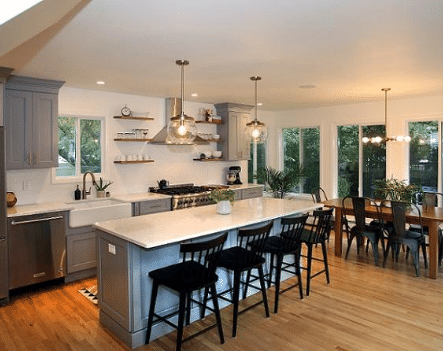 Kitchen remodeling is one of the most popular home improvement projects, and for good reason. The kitchen is one of the most frequently used rooms in the home and has a huge impact on your home's overally appearance and value. At Kuhn Construction, we can help you create the kitchen of your dreams! 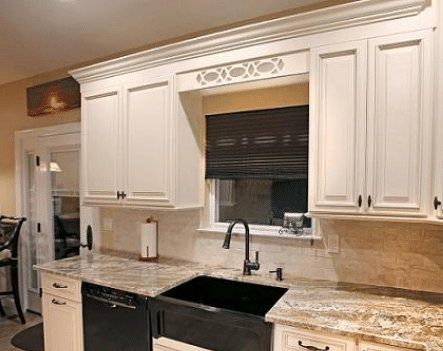 We provide complete kitchen remodeling solutions, including design, cabinets, counters, fixtures, and appliances. Our experienced team knows what it takes to turn your vision into a reality and add function and value to your home. 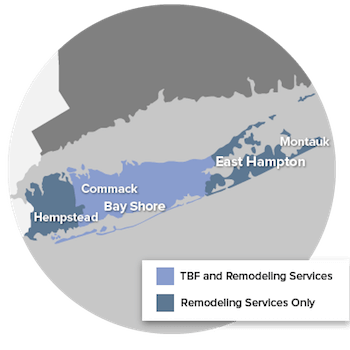 If you're ready to remodel your kitchen, contact us today to get started with a free estimate in Islip, Brookhaven, Smithtown and nearby. Cabinets are the biggest piece of any kitchen's design and function. Whether you want to resurface your existing cabinets, install new replacements, or create a custom design, we have the right solution. We will design your cabinets to fit the functional needs of your kitchen while still providing the right aesthetic appeal. We offer a wide range of styles, materials, and colors, and we'll help you fit your cabinets around appliances, islands, and any other features your kitchen has. The right countertops make a huge difference in your kitchen's design. We provide all types of kitchen counter materials, including granite, quartz, butcher block, and more. We'll help you choose the right material and design to fit your kitchen's needs. 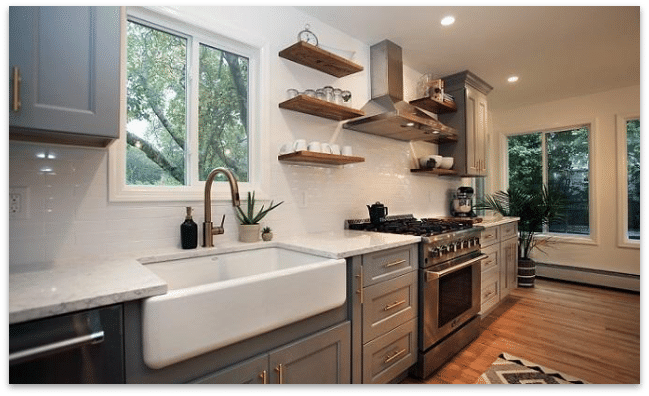 Our experts will help you fit your countertops around your sink and appliances, and we can install new counters on existing islands or help you create a new island. No matter what design features you want, we're here to help.